This is the second part of a two part interview with Jonathan Bloom of Wasted Food. Be sure to start reading with Part 1. In this part, Jonathan talks about what individuals and food companies can do to help reduce food waste. Is "when in doubt throw it out" always the correct approach? Jonathan says, "No." It says on your blog that somewhere between a quarter and a half of all the food in the U.S. is wasted. What makes the number so high? Even the low end is pretty extraordinary. Those are estimates by two researchers in the field. There hasn’t been a definitive study like they did in the U.K. (that essentially said a third of all the U.K. food wasn’t eaten). How does it get so high? Basically, at every stage of the food chain, some food is lost. Oftentimes, it’s unavoidable - whether it’s due to weather or maybe quirks in demand at a restaurant. It's everywhere from the fields (where certain crops aren’t harvested), shipping losses on the highway (from poor handling, or maybe lack of refrigeration in the trucks). Something goes awry - food sits out on the dock too long in the hot sun being unloaded, or mistakes happen in the kitchen, that kind of thing. There are all these ways that food can be lost even before it gets to our plates. Then once it does get into our homes and to our plates, we have shown over and over again, we’re not very efficient, that we don’t value food as much as I think we should. How do you think our food waste compares to the general waste in the country? Is it on a similar curve? Yeah, I’d say you could measure along the other waste streams and that food waste is a symptom of our excess. It fits in with the others. We like big things - whether it’s houses or cars or portions at restaurants. That’s one factor that leads to a lot of waste. But, about 18% of our waste stream (what actually hits the landfill) is food. So, it’s pretty significant. What should we do with all the food that we are now wasting? I guess, first off, we could do a whole lot better job at minimizing all that waste. There’s a variety of ways to do that, but once that food is going to be thrown out, I’d like to see it go to landfills only as a last resort. There’s a hierarchy of uses that the EPA has come up with and if you’re not going to feed humans with food, next down would be feeding animals. Then, if you can’t do that, composting it, and - while it's not on the hierarchy - using it to create energy - I’d say that should come even before composting. Anyway, the main point is to prevent it from going to landfills where it’s rotting and releasing methane, which is a greenhouse gas speeds global warming. Methane is more than 20 times as harmful as CO2. Is methane not produced if you compost? The main difference is that when you compost, it’s aerobic. The air mixes in and that prevents the reaction that creates methane, which happens when it goes anaerobic, like in a landfill. What are some of the ways that we can minimize waste? There’s a whole long list. I would recommend people take a step back and think about their own habits and what they do on a day-to-day or weekly basis, how they interact with food. But after that, more practically, I usually give 5 tips, most of the time, for how to minimize food waste. Number one would be planning your meals ahead before you go shopping and being realistic when you do that. A lot of people will have an idealized view of their eating habits and buy all kinds of fresh foods, thinking of all the wonderful homemade meals they’ll make. They get out of work at seven and just don’t have time to do that. That fresh food is forgotten in favor of take-out. Second would be to make a detailed shopping list after you plan those meals and then stick to it when you’re in the supermarket. That’s easier said than done, given all the impulse options at supermarkets. But, it’s worth trying. Third would be to serve sensible portions to whoever you’re serving - your family or yourself. Fourth would be to save the leftovers from the meal. Think about all the work you put into that meal. There’s no reason not to take advantage of your effort, time, and money. Number five would be to actually eat the leftovers that you save. Most people are pretty good at saving them, but that’s only half the battle. I find that even when I plan ahead, a lot of times I find the product I want comes in a larger-sized package than I can use. What do you recommend in that case? Okay, so two people. Yeah, the bulk purchasing conundrum - it’s a challenge. I think a lot of stores are oriented around large families, which makes purchasing for smaller households difficult. A couple of ideas would be to try and find a place where you can determine the amount of each item that you’re buying. Choose a store that has a deli counter where you can ask for a half pound of salami instead of having to buy the package of a pound or two pounds. Find a store where they sell individual produce that’s not shrink-wrapped into these time bombs of food waste. Also, if that doesn’t work, you can always share something with a neighbor or a friend. Go shopping together and split things up or work out an arrangement where two people go in together on certain items. What one change could people make that would have the biggest impact? That’s a good question. I would say, serve reasonable size portions. That would also minimize the obesity crisis, or at least help it. That one step could kind of kill two birds with one stone. When I say sensible portions or reasonable portions, obviously that’s different for each person. But, I do think folks should keep in mind that plates are a lot larger than they used to be and that you can always take more. Why start out with a mound? Is there a direct connection between food waste and obesity? Yeah, perversely, they are fairly linked. I think that it’s a strange situation where we're wasting tons of food and also having people becoming increasingly obese. Without going into too much on that topic, it just seems like the increased availability of foods that aren’t good for you is partly to blame. Then, the foods that are by and large better for you are fresher foods that do tend to go bad quickly. It makes some sense, but it’s also really perverse. There is a difference between "best by" and "sell by". If it's "sell by", you have more time to consume the product. Photo from Flickr user slambo_42. Well, it’s an interesting topic and a much discussed one. There are many kinds of dates on packaging. If it’s “sell by”, there’s a fair amount of time built in there for you to bring it home and enjoy. If it’s “use before” or “best by” or “consume before”, there isn’t quite as much time. In each case, there is a fair amount of caution built into that date because food companies are aware of the possibility of being sued and they are aware that to a certain extent, once the product leaves their hands, it’s out of their control. They don’t know if you’re going to go to the supermarket and then leave the food in your car for four hours or whether you’re going to bring it home in a cooler. There are a lot of variables that they have to account for. I would advise people to know that there is that caution built in and then to use their sense of smell and sight and taste. Trust your senses to know when something is good or bad. Don’t just throw it out? Yeah, I would say that's probably not the best idea. Although, I did get a take-out container once that had a sticker with the phrase, “When in doubt, throw it out.” I found that pretty offensive, coming from where I do. It’s not like it’s a malicious thing. It’s coming from a good place - that no one wants anyone to get sick, but I guess I find it flawed thinking. Just because it rhymes doesn’t mean it makes sense. We talked a lot about things that individuals can do. What can companies and restaurants do? There are a lot of food waste groups out there that are starting. I’m a member a food diversion task force in North Carolina whose goal is to divert food from landfills. The committee brings together retail foods, people from restaurants and supermarkets, composters, and hauling companies. There’s a nice symbiotic relationship that’s waiting to happen, but a lot of times it’s the lack of communication or lack of transportation or lack of effort to actually separate food out from the regular waste stream that’s preventing this success story from happening. So, the answer would be for restaurants and supermarkets and convention centers and hotels to separate the organic fraction of their waste stream and to send it to a composter or to look into waste-to-energy options. Do you know what percentage of restaurants are doing this sort of thing around the country? There isn’t a great number on restaurants per se, it’s kind of hard to tally. They do track the amount of each segment of waste that’s recycled and so, in this case, 2% of food waste is recycled (i.e. composted), so there is plenty of room for improvement! I kind of already did interview the person I wanted to interview the most. Joel Berg, who was the former food recovery coordinator in the Clinton administration (and he worked in the Department of Agriculture). He’s basically the one guy in the federal government who was in charge of getting farmers to try to donate food and trying to get food banks in touch with agricultural operations - trying to recover excess food. It was great to hear about his work and why the position was eliminated at the end of the Clinton administration/beginning of the Bush administration. It was a politics as usual story. That’s a boring answer, though, because there’s plenty of other people I’d like to talk to. I guess the other person I’d love to talk to would be Barack Obama to ask him about his views on the topic and to selflessly offer my services as the next food recovery coordinator, should he win the election in November. A distant second would be John McCain for the same reasons. I'm with Jonathan on the whole "expiration date" thing - I think that comes from having worked in healthcare and learning that expiration dates on drugs only matter on antibiotics, birth control pills and some vitamins. ;) If it smells okay and looks okay - I eat it. 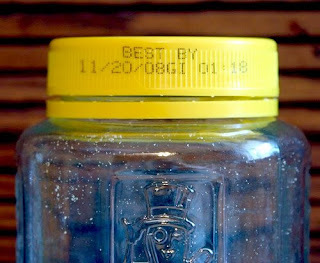 :) For many (not all) foods, the date is solely a CYA thing by the manufacturer. Fascinating and educational interview, Stef. It's a topic we're all vaguely aware of, but Jonathan Bloom offer new insights. 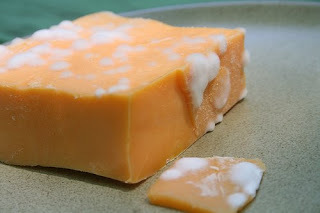 Food Interviews is a really informative blog. Hope it becomes more widely accessed.